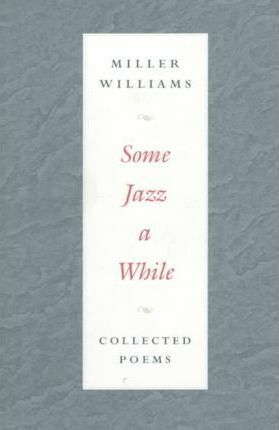 Some Jazz a While, the eagerly anticipated collected poems of one of America's best-loved poets, gathers Miller Williams's most representative work and adds some new pieces as well. This generous collection welcomes newcomers as well as longtime admirers of Williams's trademark style: a compact and straightforward language, a masterful command of form, and an unsentimental approach to his subject matter. Williams treats the mundane interchanges, the lingering uncertainties, the missed opportunities, and the familiar sense of loss that mark daily life with the surgeon's deft touch. An American original, Miller Williams involves the reader's emotions and imagination with an effective illusion of plain talk, continually rediscovering what is vital and musical in the language we speak and by which we imagine. Miller Williams, University Professor of English and Foreign Languages at the University of Arkansas and founding director of the University of Arkansas Press, is the author, coauthor, or translator of twenty-eight books, including twelve poetry collections. His honors include the Poets' Prize, the Academy Award for Literature and the Prix de Rome for Literature of the American Academy of Arts and Letters, and the Amy Lowell Award. In 1997 he became only the fourth poet ever to write and deliver a poem for a presidential inauguration, joining the celebrated company of Robert Frost (for John F. Kennedy), James Dickey (for Jimmy Carter), and Maya Angelou (for Bill Clinton's first inauguration.